We assess the accuracy of a movie about the making of Psycho. As Stephen Rebello explains in his excellent 1990 book, Alfred Hitchcock and the Making of Psycho, Hitchcock’s 1960 classic marked a watershed in both film craft and film promotion. But you’d barely know that from Sacha Gervasi’s presumptuously titled Hitchcock, a trivializing biopic that purports to be based on Rebello’s account but throws out most of what happened in favor of a lame neurosis story. Judging from the movie, directing Psycho was something Hitchcock did on autopilot while fretting over his wife’s fidelity and conversing with a fantasized version of Wisconsin serial killer Ed Gein (Michael Wincott). While Janet Leigh (Scarlett Johansson), Vera Miles (Jessica Biel) and Bernard Herrmann (Paul Schackman) are depicted with reasonable accuracy, others don’t fare as well. Joseph Stefano Reduced to one scene, the screenwriter (Ralph Macchio) contributed many of Psycho’s most famous lines. Rebello chronicles the evolving director-scripter relationship, from highs (Hitch being moved to near-tears when Stefano compliments him on Vertigo) to lows (a disagreement regarding an excised overhead shot in the shower scene). Quoted extensively, Stefano is consistently insightful on Hitchcock’s motivations. Anthony Perkins In Gervasi’s version, Alma Hitchcock (Helen Mirren) informs her surprised husband that Perkins (James D’Arcy) is gay. Depicting the actor as a buffoon, Gervasi’s film treats his effeminate mannerisms and disinterest in Janet Leigh as a gag. Perkins deserves more respect: He was honored to have been cast, considering it “the career move of his life,” according to a Rebello interviewee. He sought to work closely with Hitchcock, making adjustments such as having Norman Bates munch on candy corn when nervous. Alma Hitchcock In the movie’s wildest flight of fancy, Hitchcock grows paranoid that his wife is having an affair with Whitfield Cook (Danny Huston), a TV writer who also worked on Stage Fright and Strangers on a Train. Hitchcock sees Psycho as the project that rekindled Alma and Alfred’s great romance. But according to controversial Hitchcock biographer Donald Spoto, Alma had an almost mothering relationship with her husband; Spoto suggests he may not have slept with her in decades. Rebello writes that Hitch referred to going to dinner with “Mom” on evenings when the couple dined at Chasen’s. That certainly casts Psycho in a different light, but Hitchcock—which gives Alma her richly deserved due as Hitch’s collaborator—takes an improbably rosy view of their relationship. 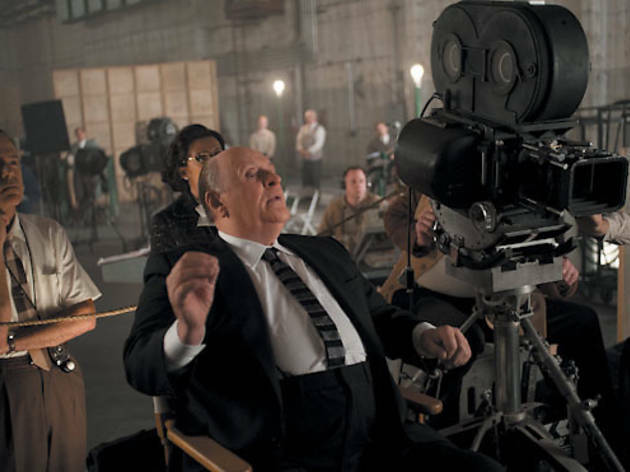 Hitchcock’s apparent sexual frustrations are explored more clearly in HBO’s The Girl. Hilton Green The barely glimpsed assistant director played an important role on Psycho after Hitch’s longtime producer and second-unit man, Herbert Coleman, declined the project, concerned it was too dark. In a major sequence in Hitchcock, Hitch falls ill with the flu, and Alma—seemingly unbidden—steps in to direct the scene in which Arbogast is murdered. 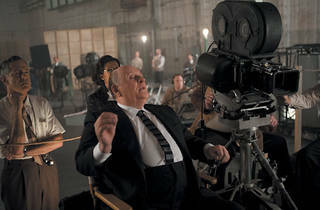 Green is the one who actually took over, although, as Rebello quotes him, he “directed it on the telephone to Hitchcock at his house.” The scene required reshoots anyway.